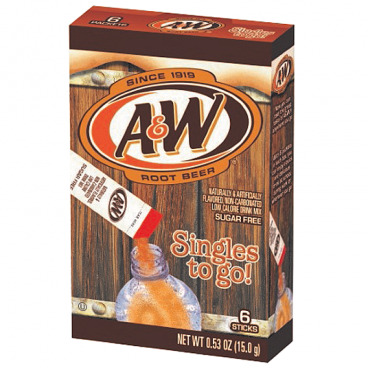 Take the great taste of A&W root beer wherever you go with these portable drink mix sachets! 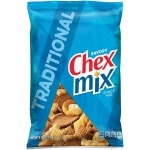 They're fun and easy to use. 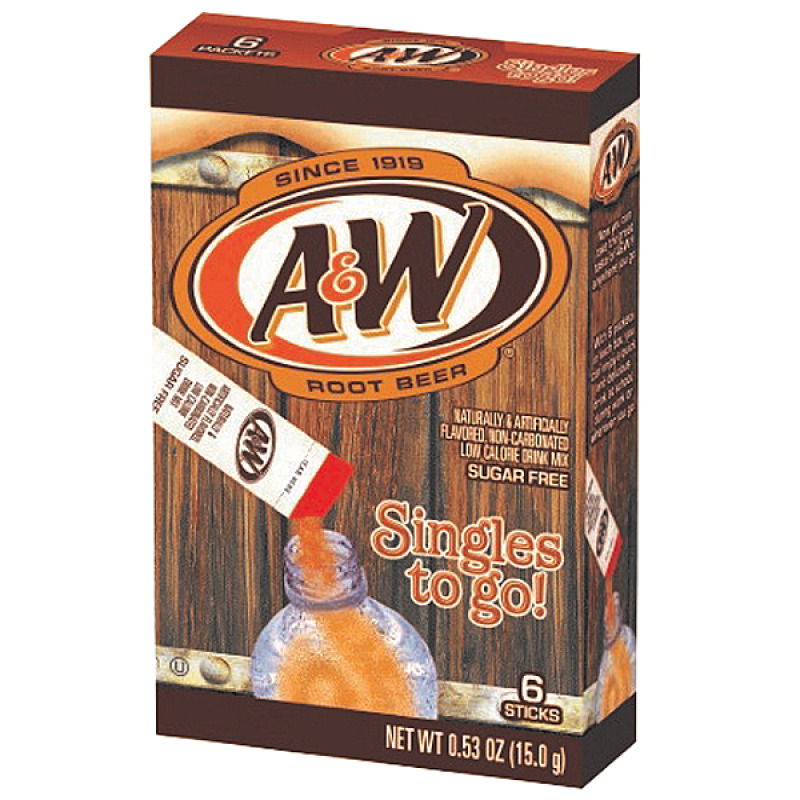 Simply mix one sachet in with water, and you've got the refreshing taste of A&W root beer wherever you want it! There's 6 sachets per pack.